Dubai, UAE, October 22, 2018: One Kuwaiti-based visitor to the 2018 edition of GITEX Shopper at the Dubai World Trade Centre (DWTC), came away with far more than he had bargained for, as the winner of a brand-new MG ZS compact SUV, courtesy of the Visit & Win raffle draw at the region’s largest consumer electronics shopping festival. Mustafa Khumanpur picked up his prize from the Al Yousuf Motors Showroom in Dubai earlier today and will return to Kuwait in style in a brand-new 1.5L STD 2019 MG ZS. 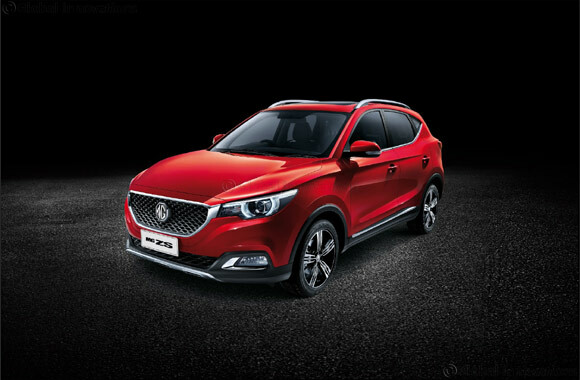 The MG ZS marks an exciting new era of design for MG Motor, the famous British car manufacturer with the introduction of a new design philosophy that is set to feature across all upcoming MG models, and emphasises the premium experience and commitment to quality of the rejuvenated brand. It also offers some of the most generous shoulder, leg and headroom in the compact SUV segment, and even comes with a six-year/200,000 km warranty.